Travelling down through the Vale along the Heads of the Valleys Road, probably the first thing to strike visitors is the broad, lush, verdant nature of the valley and the magnificently wooded hillsides. Renowned naturalist, Alfred Russel Wallace when living there near Cadoxton in 1845 when he started to formulate his revolutionary ideas on evolution, said: ‘I cannot call to mind a single valley that in the same extent of country comprises so much beautiful and picturesque scenery and so many interesting and special features as the Vale of Neath’ In the lower part of the Vale, waterfalls can also be found at Melincourt and Aberdulais as well as cascades at Gnoll Country Park in Neath. Looking at the area today it is hard to disagree. 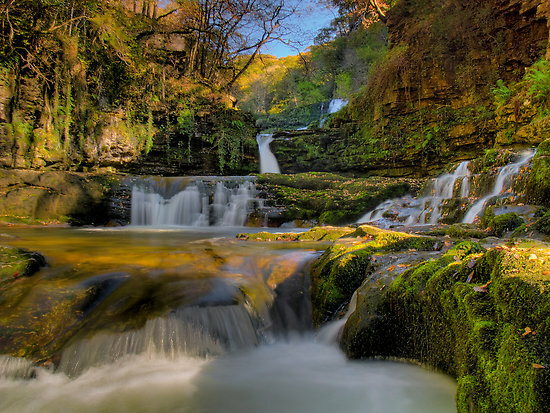 Nowhere else in Wales has such a wealth and diversity of waterfalls within such a small area as the Vale of Neath with area around the deep gorges of the rivers Pyrddin, Mellte, Hepste and Nedd Fechan often referred to as ‘Waterfall Country’. 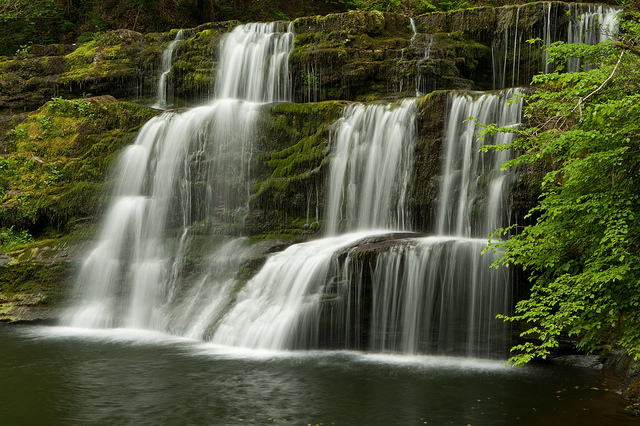 Many of the falls are spectacular, such as Sgwd-yr-Eira and Sgwd Clun Gwyn, and repay repeated visits throughout the changing seasons. 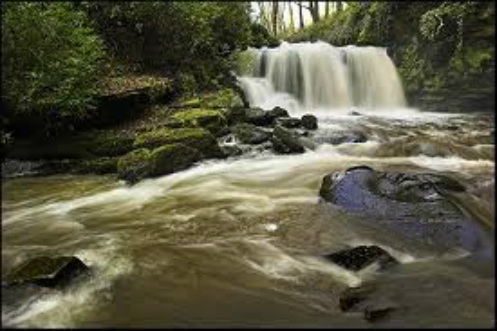 Pontneddfechan, just outside Glynneath, standing at the confluence of the Mellte and the Nedd Fechan rivers provides an excellent access point to the waterfalls as well as Craig-y-Dinas (Dinas Rock), which is a favourite spot for rock-climbers. The area, which is part of the Fforest Fawr Geopark, also has a number of fascinating relics of its industrial past with trails taking in the former gunpowder works and the famous silica mines. A number of local pubs provide fine fare and sustenance for those who have worked up a thirst and appetite. Glynneath (Glyn Nedd) a small town situated towards the top end of the Vale of Neath is the hometown of Welsh comedian Max Boyce and Ken Elias, one of Wales’ leading contemporary artists who still lives and works there. Visitors are welcome to play a very picturesque round of golf at Glynneath Golf Club. 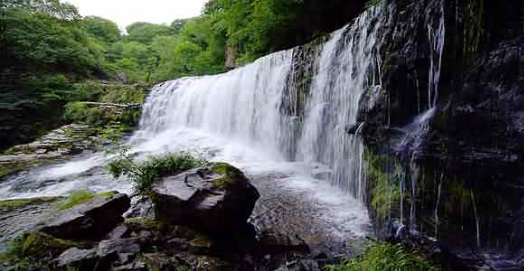 Further down the valley is Resolven, just south of which on a tributary of the River Neath is the spectacular 25-metre high Melincourt waterfall, which was painted by Turner in 1794. 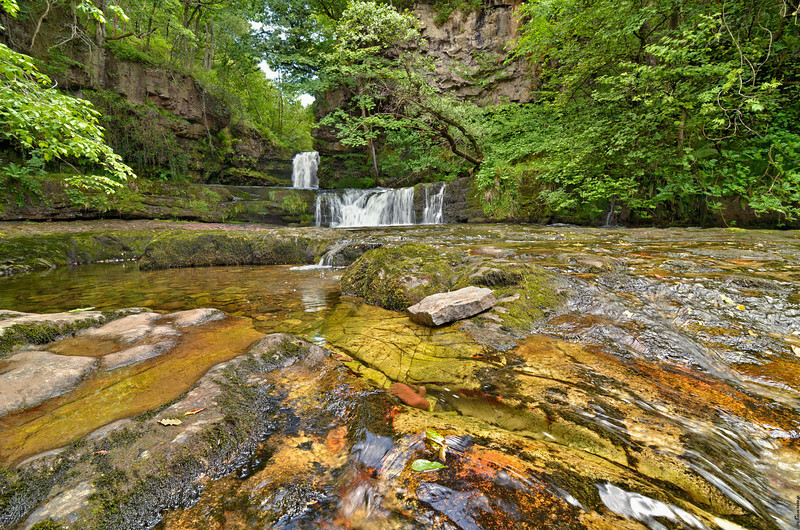 The walking pack features ten walks with an illustrated information card for each waterfall and a detailed Ordnance Survey map showing all the walks. The walking pack is designed to help visitors to explore an area known to many as ‘Waterfall Country’ using routes that cater for all abilities. The Council hopes that the new guide will also encourage local people to explore the hidden wonders to be found on their own doorsteps. The unique and attractive images used within the pack celebrate the natural beauty of the area. ‘We are fortunate to have so many wonderful outdoor attractions within the County Borough. 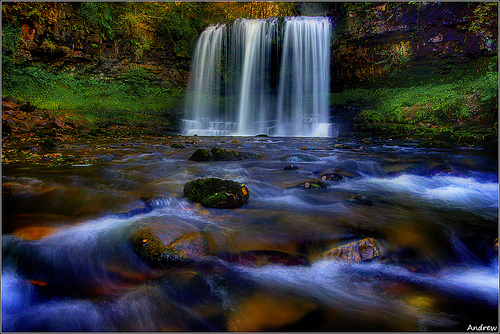 ‘Waterfall Country’ offers something for everyone and is a place where the views are forever changing with the seasons. The packs are currently available for £3.50 at Aberdulais Falls Tourist Information Centre and the Waterfall Centre in Pontneddfechan. 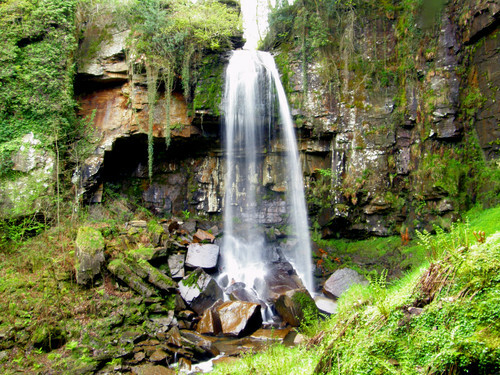 Waterfall Country is a nickname given to the Vale of Neath due to the diverse number of waterfalls in the valley. 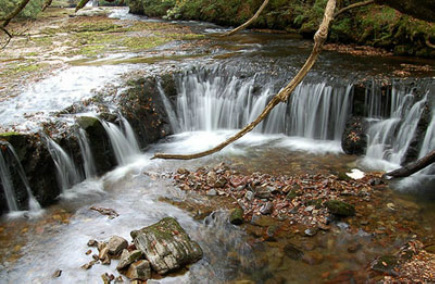 In the upper reaches of the valley, at the foothills of the Brecon Beacons, are the waterfalls of four or five rivers: the Afon Hepste, Nedd Fechan, Afon Pyrddin, Afon Mellte and Afon Sychryd. 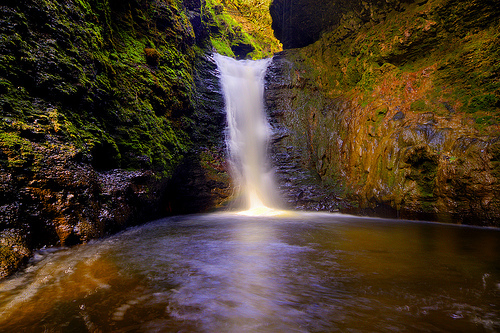 In the lower valley, waterfalls can be found at Melincourt and Aberdulais.